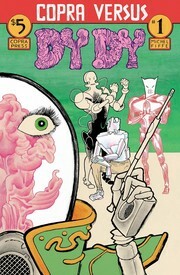 THe first of an all new (four-issue) Copra limited series. Cover to cover Fiffe! Fiffe has written, drawn, colored and lettered this issue, and, opening up to the spirit of experimentation allowed by a limited series, has done so entirely in a two-tier, six-panel grid! Check it out!